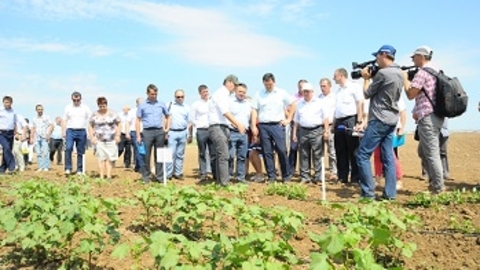 Omsk agroindustrial complex (AIC) development should be about 25 thousand workers and experts said on Friday, TASS, the Minister of agriculture and food of the Omsk region Maxim of Chemesov. "We discussed the development strategy [the AIC of the Omsk region] and see that we need about 25 thousand workers and specialists. In General the situation is improving, but it all depends on managers. If he offers a decent wage and good working conditions, people go," said Chekunov. He added that in the region for students of Omsk state agrarian University named after P. A. Stolypin built a system of practice on farms and in rural areas when schools create agrokasa created career guidance program "Career-agro". "The rectors [of selhozgodu] note that the demand is growing all the recruit students," the Minister said. Informed about the problem of attracting staff to the village said the Governor of the Omsk region Alexander Burkov. To solve it, in 2018 the maximum amount of "lifting" for rural specialists was increased from 100 to 200 thousand rubles. According to Burkova, it is necessary to increase the attractiveness of the village - in particular, to continue to build and reconstruct rural cinemas, cultural centres and feldsher-midwife stations. He noted that more than 500 settlements of the region such cultural establishments in General do not exist. Relevant to the region and the problem of providing the population with medical care. In the Omsk region, the Northern part which is covered with forest, and the roads often impassable because of snow, crossroads or spring floods in the villages are 808 obstetric units, of which 245 are not staffed by physicians. These settlements once a week, come the doctors who examine the population and carries out procedures.